Today's giveaway is one of my favorite things. Are you one of those people that has a favorite pen and always has to use it?! Le Pens are awesome...and come in so many colors. I figured they would be perfect for the upcoming holiday season...you know the one time you're addressing snail mail! Leave a comment below: Do you send out holiday cards, if so are they photo cards?! 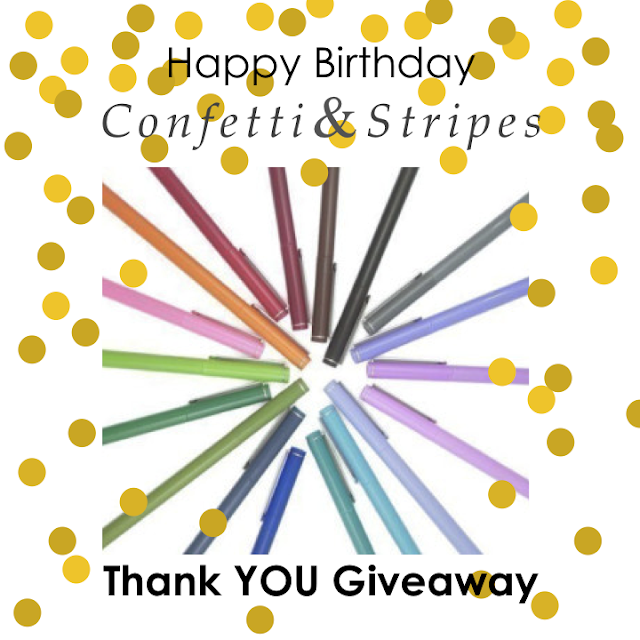 For one additional entry follow Confetti & Stripes on Twitter then leave a comment below letting me know you handle!...must be a separate comment to have your name entered twice! 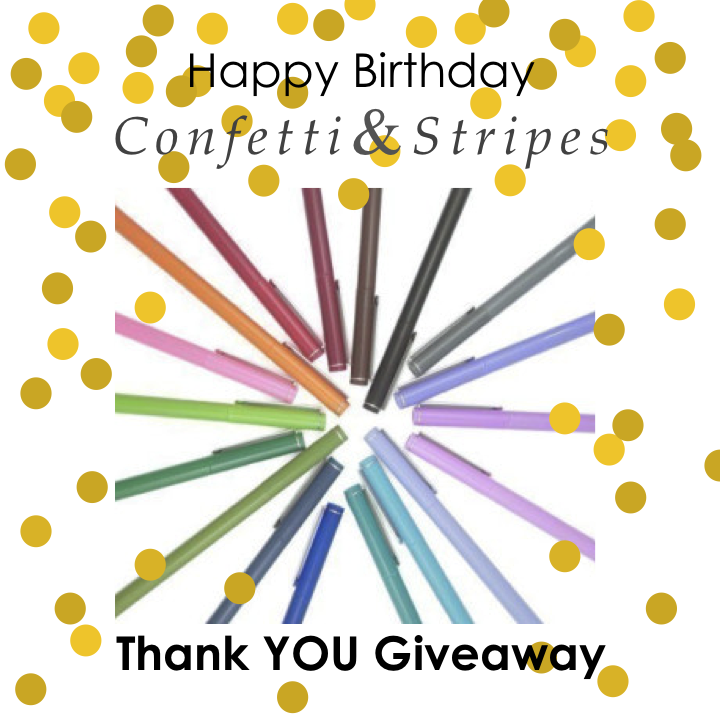 One winner will win an 18 color set of Le Pen's and be announced next Friday, October 25 via my instagram. Don't forget to enter day one, two and three! I do Christmas Cards every year and it always has photos on it. I try to have them out by December 1st every year. I also have a book that I keep them all in, so I can look back each Christmas at all the prior Christmases. I am all about office supplies and fun pens! Love LePens! love sending Christmas cards, but never send photo ones! i don't send out holiday cards but i may start soon if i can get my family to pose for a picture together! I don't send Christmas cards because I always forget them! Who doesn't love fancy pens? I do send Christmas cards and they are usually photo cards. I can't wait to find the right picture of my baby to use this year. We send out photo Christmas cards, but not usually every year. I do Christmas Cards every year. I've done photo cards a few times when I plan enough in advance. I do... and they are photo cards! Already ordered (& received) mine for this year! We do send out holiday cards every year, and I always used to handmake them (either screenprint or stamped). But since we had a baby, they are photo cards because people want to see recent photos! I love sending out Holiday cards!